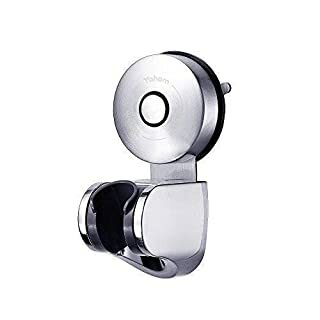 Specifications:Material: Plastic, chrome finishColor: Sliver with yellow bracketSlot diameter: 0.94 inches / 2.4 cmSuction cup diameter: Approx.2.75 inches / 7 cmTotal length: Approx. 7 x 10.5 cm / 2.75 x 4.13 in ( W x H )Load-bearing: Approx. 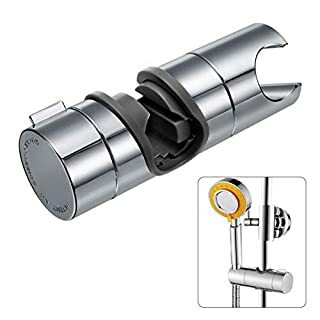 up to 7.5 pound / 3.5 kgPackage contents: 1 x Shower Head HolderWhy You Choose Our Shower Head Bracket 1. 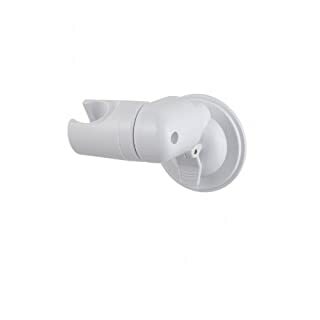 Vacuum power suction cup allow shower head holder fixed more firm. Free tool installation. 2. 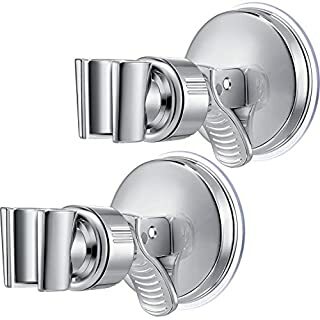 Beautiful chrome is sturdy, anti-corrosion and anti-rust. Moisture proof and waterproof.3. 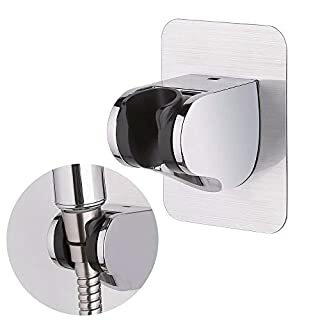 Shower head holder can lasting load approx. up to 3.5KG/8LB with 2.75-Inches diameter.4. The angle can be adjustable according to your prefer. Shower bracket is removable and reusable.5. How To Install:Step 1: You can clean the surface by the dry cloth or the paper towel when install or reinstall, ensure the surface is flat smooth and no concave and convex surface.Step 2: Applying a small amount of moisture to the suction cup. 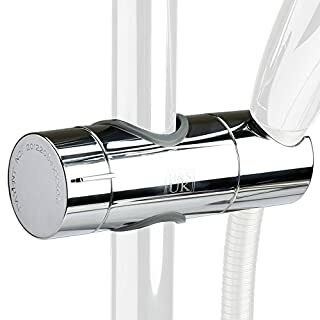 Press the shower holder,push out the air.Step 3: Slide the suction lever downwards,active the suction cup.Haokey Service:We love our customer, your satisfaction is our priority, contact us if you have any question, we will try our best to solve any problem you meet. Specifications Main Color:Silver Material:Stainless Steel Model:YFZ9301SA Style:Contemporary,Modern,Simple Slot diameter:22mm Suggest max load:5KG Finish:Brushed Finish Installation Method:Suction cup Package Weight:0.18KG Package Dimensions:75 x 70 x 135 mm Package contains Powerful vacuum suction cup shower head holder*1 How to install 1.Before installation, please clean and dry the expected place, make sure the bottom of suction cup is clean. 2.To make sure it is in pre-installed state, please gently twist the knob cap in an Anti-clockwise manner until can not rotate. 3.Push the suction cup perpendicularly into the expected place, press the knob cap firmly to release air. 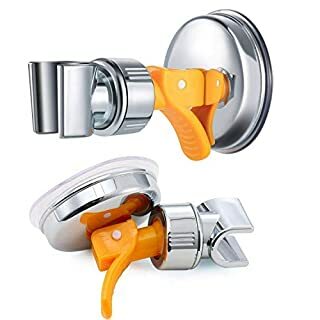 ( At first installation, please remove the protective cover ) 4.One hand keeps pressing the centre firmly, another hand vigorously twists the knob cap in a clockwise manner until lock and can't twist. Then pull the suction cup left and right for testing. How to remove 1.Twist the knob cap in an Anti-clockwise manner until can not rotate. 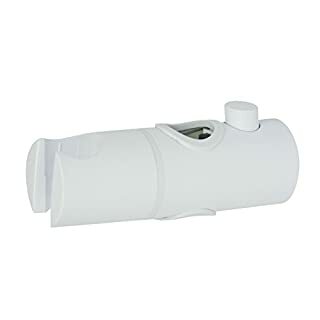 2.Pull up on the release tab to release the suction and remove. 3.Wash the bottom of suction cup with water, reuse it after drying. 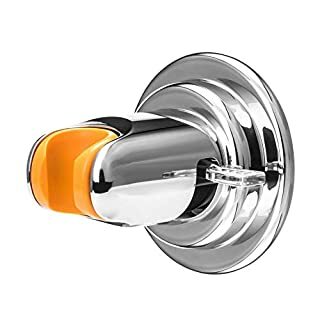 Attention Point 1.Our suction cup works by vacuum, through pressing the suction cup firmly on the wall to release air then twisting the knob cap tightly until lock in order to reach a vacuum state, not work by the glue. Sticky PVC bottom just for your easily placement. 2.Please confirm if your wall is suitable before installation. 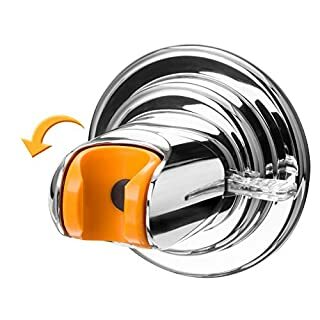 Only smooth and airtight wall can keep the suction cup in a vacuum sealed state. 3.Last picture in the listing shows you how to install and remove. Be sure to follow ALL steps and need a certain strength to install. 4.You can search for "Suction Cup Series Installation Step" on YOUTUBE to watch the installation videos.